As the first day of September clicks off on the calendar, I begin to get very excited for my favorite time of the year — Fall, and Oktoberfest! Let’s put it this way, being almost entirely of German descent and a lover of all things Teutonic, Oktoberfest to me is like St. Patty’s Day is to someone named Patrick O’Malley. I own lederhosen and I love drinking beer in them. After several years of attending various Midwest Oktoberfest destinations (and having celebrated the actual Wiesn in Munich), I humbly consider myself a good judge of the “authenticity” of the fests available. Chicago has no shortage of street festivals, but when it comes to celebrating Oktoberfest, they make a half-hearted attempt. All in all, most people are drinking from a plastic “stein” and eating bratwursts from the local grocery. Granted, the Germanic populace isn’t as influential as the Irish and Italian communities in the city, but wearing green felt hunter’s hats and drinking Beck’s does not an Oktoberfest make. So, in an effort to expand your horizons and appeal to the European sense of adventure — you need to go to Wisconsin. 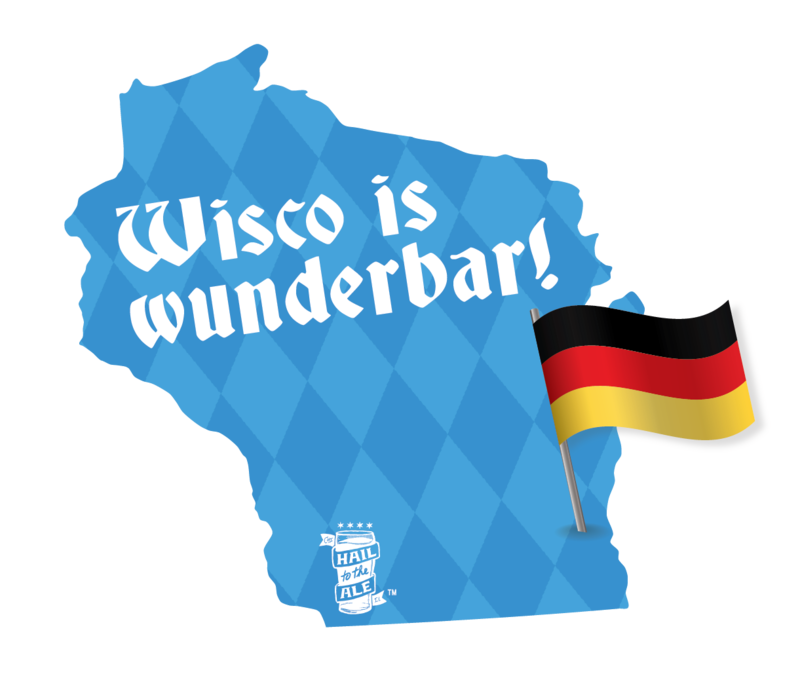 With 42% of the state of Wisconsin of Germanic descent, they take Oktoberfest very seriously. And Milwaukee is the city you want to visit, with two festivals standing head and shoulders above the rest. The first stop should be "Oktoberfest Milwaukee" (9/11-10/3) at Old Heidelberg Park in Glendale, Wisconsin. This suburb of Milwaukee hosts the oldest and most authentic Oktoberfest outside of Munich itself. Wearing the traditional lederhosen and dirdls at this festival is like someone putting on jeans and a T-shirt to go to a regular bar. Everything from the Oktoberfest beer (Spaten, Hofbrau, Paulaner and Franziskaner) to the food (Spanferkl, Rollbraten and Bienenstich (Bee Sting Cake)), to the polka music and traditional Schuhplatter folk dancing puts a smile on your face and a general feeling of Gemütlichkeit (geniality and friendliness). Meanwhile, you can try your hand at various smaller carnival-like games or enjoy a large Bavarian pretzel or bag of hot, roasted candied nuts. It is truly an epic experience. You may also want to try downtown Milwaukee’s "MKE Oktoberfest" celebration (10/1-4). Situated in the beautiful Pere Marquette Park across from the Hofbrau-franchised Old German Beer Hall (one of the sponsors), this equally exuberant festival is initiated by none other than the Mayor of Milwaukee, tapping the first wooden keg to get things rolling. This harkens back to the same tradition in Germany of the Mayor of Munich tapping the first keg. At any festival in Wisconsin patrons are even encouraged to bring their own Maßkrug steins to be filled with the glorious beers produced by Hofbrau. Later, if one is so emboldened, you can try your hand at Maßkrugstemmen (beer stein holding). See how long you can hold a 1-liter glass stein full of beer (about 6 pounds) straight in front of you. Think you can beat the world record of 19 minutes? You’ll be lucky to get to one. At any point, you can retreat from the tent’s festivities by walking around the gorgeous park scenery right on the river. I may be slightly biased, but will hazard to guess if you take my advice and venture to Milwaukee for Oktoberfest and try one of these Fests, you will not be disappointed. They truly are an experience straight out of Munich.